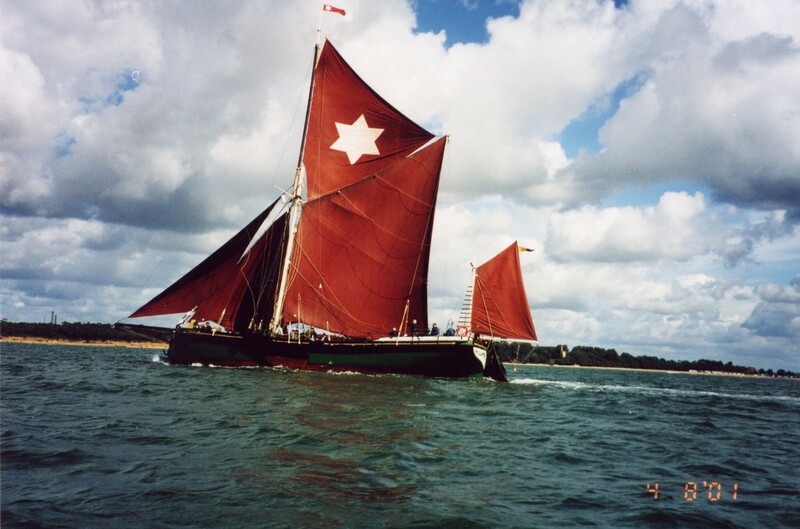 Launched in April 1895 by John and Herbert Cann, of Gashouse Creek, Harwich, for Horatio (‘Raish’) Horlock and three co-owners, KITTY is one of the oldest spritsail barges still in commission. She has a double-skinned hull of oak frames and 4-inch oak floors, with 3-inch (1.5-inch doubled) and solid 4-inch pitch pine planking (the latter being below the waterline). 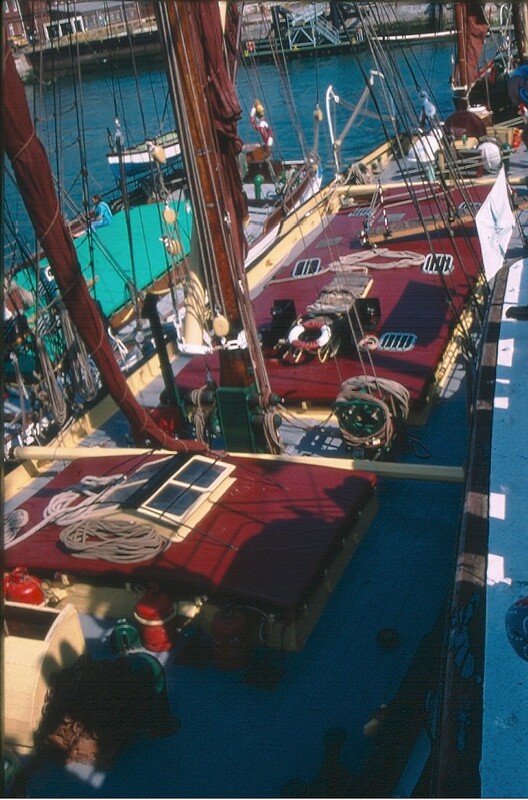 She still has her original 16-inch square pine keelson, which is 70 ft long, and her decks are of pitch pine and opepe. 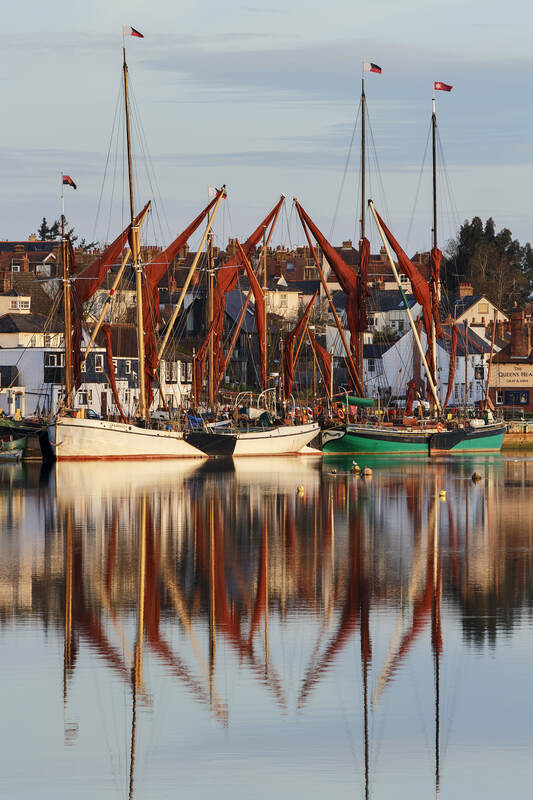 The two branches of the Horlocks family operated fleets of barges from Mistley for transporting grain from London and Ipswich, as well as timber, malt, flour, bricks, grit and general cargoes. KITTY's cargo capacity was 150 tons. In the First World War she transported coke and stores to Calais and Boulogne for the army. In the twenties her work was mostly between London, Mistley, Ipswich and Yarmouth. She was sold in 1933 to Francis and Gilders Ltd, of Colchester, who in March 1951 merged with the London and Rochester Trading Company. In January 1949 KITTY was loading timber in the Surrey Commercial Docks and took a big deck cargo to clear her steamer. When moving in the dock she took a sudden list and lost the deck cargo overboard and was then in collision with the motor coaster GRAMPIAN COAST, sustaining damage to her stem. She was repaired and continued in trade under sail, with no engine, until July 1955. Her next owners were Brown & Co, of Chelmsford, who used her as a de-rigged timber lighter working from the Heybridge Basin, near Maldon, taking timber freight from cargo ships anchored off Osea Island. 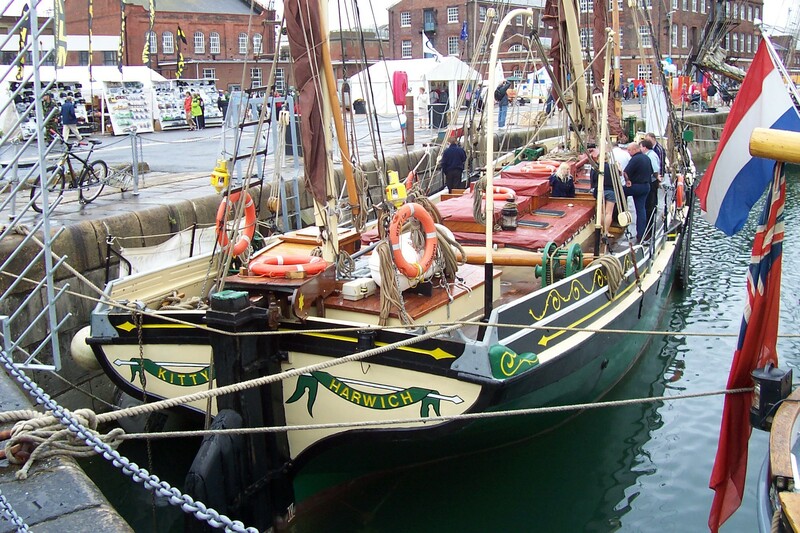 She was sold in 1964 to John Fairbrother, trading as Maldon Yacht & Barge Charter Co Ltd and was re-rigged and refurbished as a charter vessel with twelve berths in 1964/65. KITTY'S reputation for speed was enhanced by good results under skipper John Fairbrother in the revived barge matches. These included firsts in the 1974 Pin Mill class B, the 1975 Medway bowsprit class, and the 1975 Port of London Clipper Regatta. KITTY was sold in 1976 to David Anderson and became a de-rigged floating restaurant at Hayling Island. Her next owner (in April 1985) was Patrick Keen of Portsmouth who re-rigged her and renamed her MY KITTY. A Perkins six-cylinder diesel was installed and she became a charter yacht. In 1988 ownership passed to Microwave Exhibitions and Publishers Ltd. In 1990 she was bought by her current owner, Roger Marriott, was renamed KITTY and based at Port Solent, near Portsmouth, for charter work, later moving to Ocean Village, Southampton. 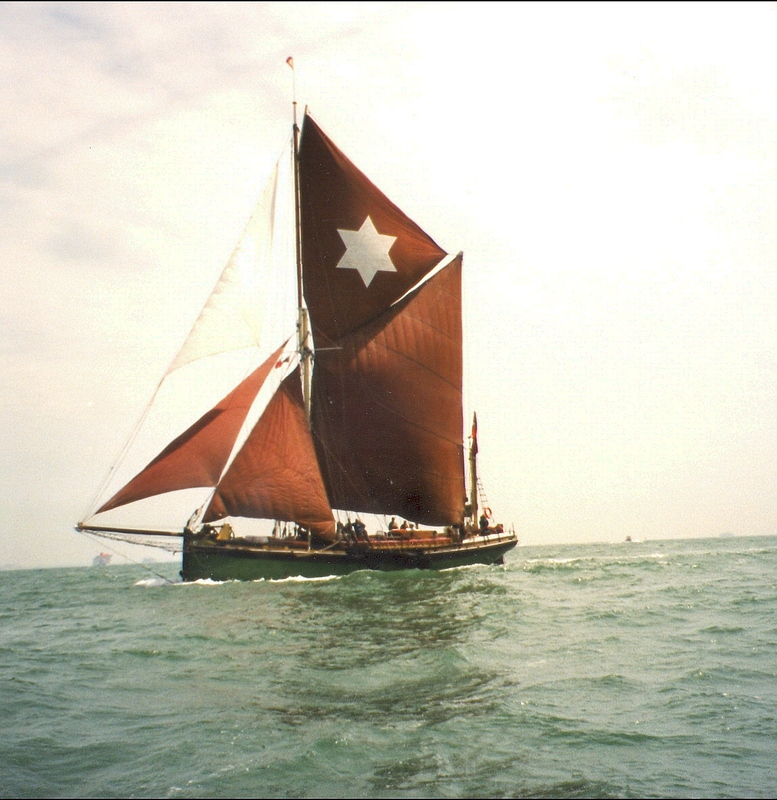 In 2003 she had a new mainsail cut by James Lawrence, of Brightlingsea. 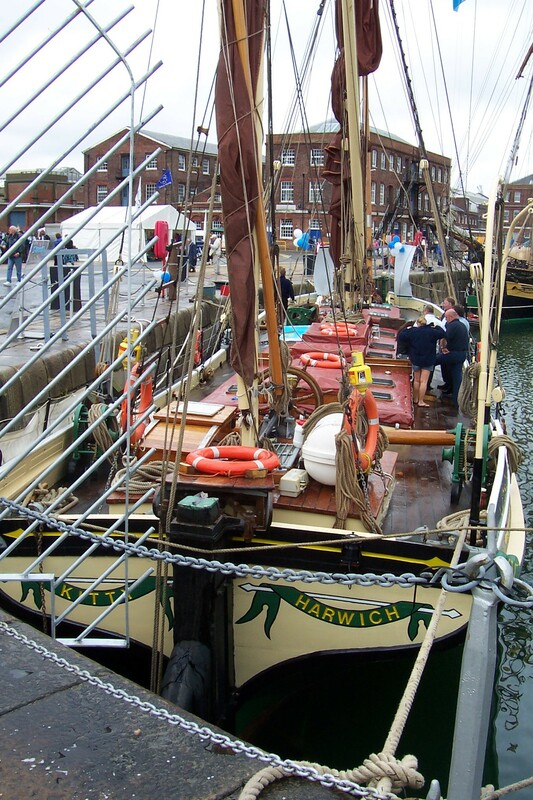 Before her 2007 season she was refitted at Maldon, and then returned to Southampton. 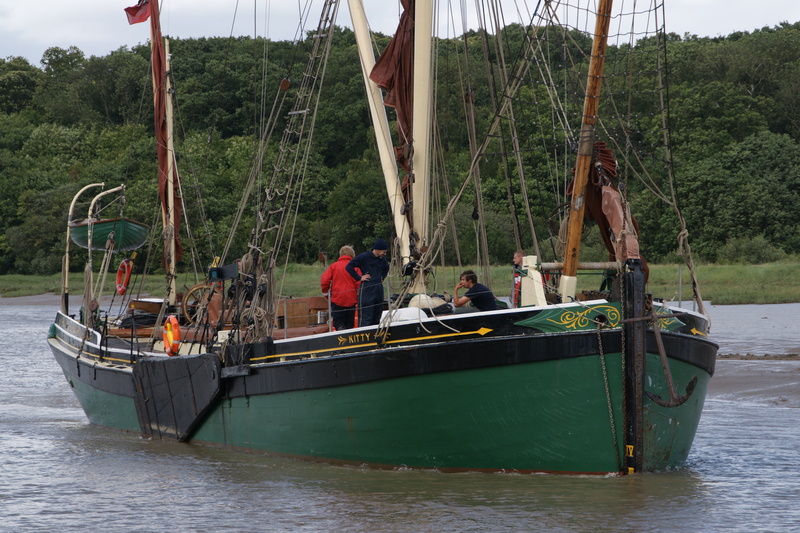 In September 2007 Maldon became KITTY's base, operating charters through Sailing Barge Kitty Ltd. She has eight berths, and is licensed to take 46 passengers (plus four crew) to sea.